With AquaSoli you can rely on an expertise of over one thousand plants from 1MWp to 200 MWp-scale, approximately 10 GWp in total. The Soviet military airport, Koethen, sent MiG-jets to survey the borderline between Warsaw Pact and NATO. The military airport Koethen closed in 1991 after the fall of the iron curtain. 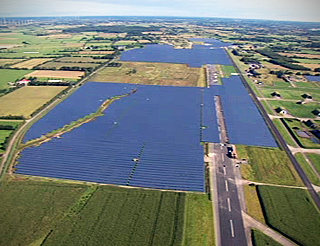 Finally the former airfield found its civil destination harbouring an 80 MWp photovoltaic power plant producing enough electrical energy for more than 20,000 households. The central building section of the plant now operates at 45MWp (a project of the "Deutsche Eco" Photo: Peter Mora) and has been geotechnically coached by AquaSoli. 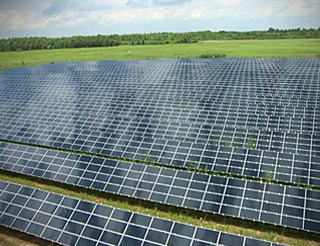 For one of Europe’s largest PV-plants, located one hour north of Rome, more than one hundred kilometres of ditches had been excavated to search for archeological relicts from ancient Etruscian people between 800 and 100 BC. After the archaeologists had completed their research, AquaSoli supervised the appropriate re-compaction of the ditches in order to conserve the soil’s bearing capacity in respect to the pile foundation. In addition, AquaSoli performed the due diligence control of the civil and geotechnical engineering, design of the pile foundation and the quality control concerning the dewatering of the plants area. 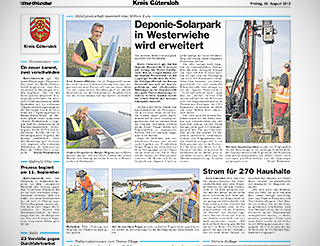 For one of Germany’s largest power plants producing 82MWp, AquaSoli has developed a new test method to handle “bad soil spots”; e.g. old bomb craters, which contain poorly compacted refills from the World War II era. AquaSoli surveyed the entire building process and detected these areas considered poor building grounds; therefore, the foundation engineering was able to adapt to good and poor soil conditions adjusting even on a small scale of several dozen meters. 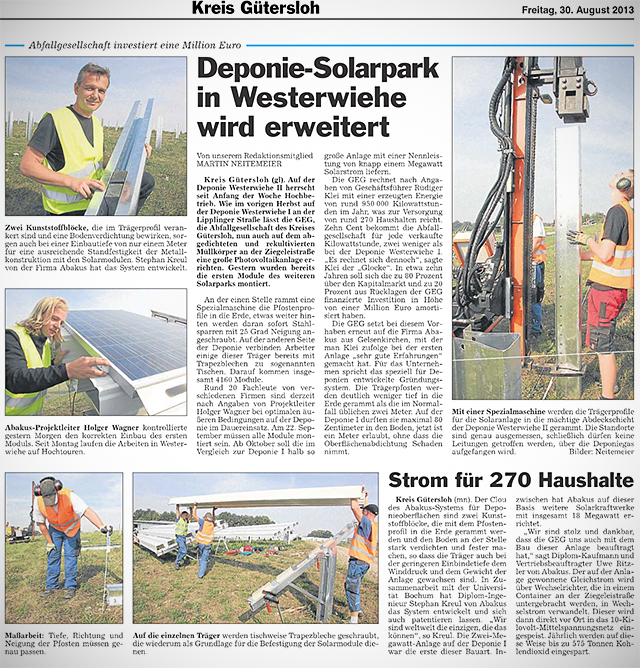 AquaSoli implemented a highly economic foundation solution and transformed the former start base of Hitler’s V2-rockets into a place of renewable energy generation. 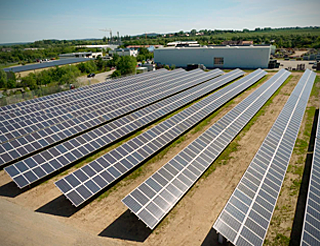 This power plant not only produces electrical energy for the city of Teterow in Mecklenburg-West Pomerania, but also serves as a research site to study the long term stability of the mounting systems and modules. 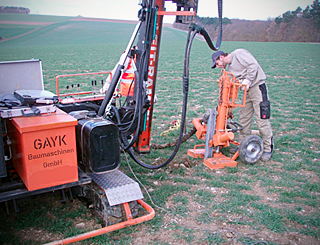 AquaSoli has delivered the soil mechanical analysis, the foundation design and measurement equipment in order to observe the long term behaviour of two different mounting systems in terms of deformations and stability. The 1950 built airfield, Bremgarten, was an important base for the French airforce and to the first generation of super sonic fighter jets during the cold war era. Later in history, the German Federal Armed Forces flew Starfighters and Phantom in Bremgarten until closure of the airport in 1992. Under the former fuel depot a huge amount of Kerosine had been accrued during the decades of the airfield operation. 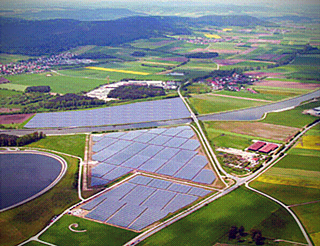 In 2007, directly across from this contamination, the PV-plant Bremgarten was built. AquaSoli performed the foundation engineering for this site, testing different mini steel-pile solutions in test loadings, resulting in using an I-beam-solution. The PV-location of Thüngen belongs to a German baron’s family and is part of a water shed area where the locals use the wells for drinkable water. For this project, AquaSoli not only performed the foundation designing, but also discovered the evidence to convince the environmental authorities that the zinc layer at the steel posts (serving as protection against corrosion) would not contaminate the drinking water. San Vito Dei Normanni is a south Italian town close to Brindisi (Apuglia) with a population of 20,000 inhabitants. 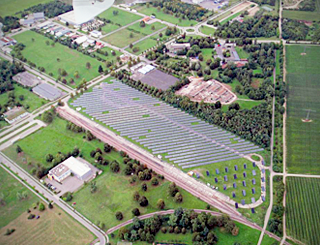 In 2010, the newly built 5-Megawatt-Photovoltaic-Park became a project of the US-enterprise Evergreen Solar, Inc., part of Marlboro and Austria. 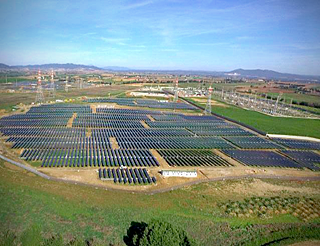 The PV-installation in San Vito has a total size of 100,000 square meters and contributes 24,600 modules to the energy supply of San Vito. 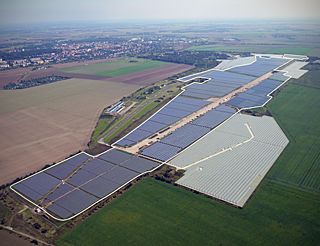 The solar plant, Salmdorf, was the largest in the district of Munich during its erection in 2007. 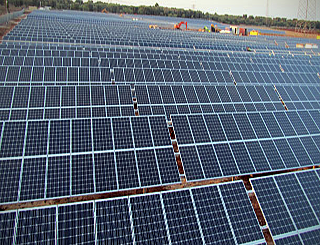 With a performance of 1,037 kWp, it delivers 1,100,000 kWh per year with First Solar modules meeting the demand of 300 households to produce clean electric energy. Between the mounting system being built on a former building waste deposit and concrete blocks amongst other obstacles remaining relatively close to the surface level of the re-cultivation layer, the foundation has been a very challenging project for AquaSoli. With the chosen foundation, less than 1% of the plant surface has been sealed. Today, this plant not only helps to cut down about 600 metric tons of CO2 per year, but it is also a hideaway for endangered plants and animals.